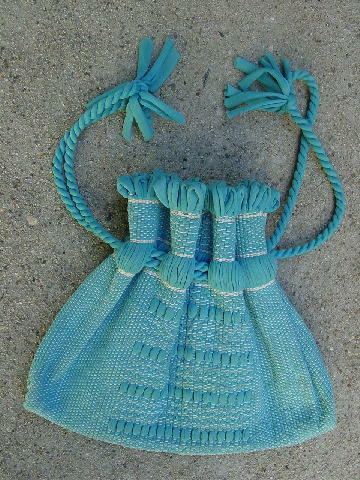 This vintage woven fabric purse is in turquoise, peachy-antique white, and white. There is a double cord drawstring closure. It's unlined, but the purse has some body to it. 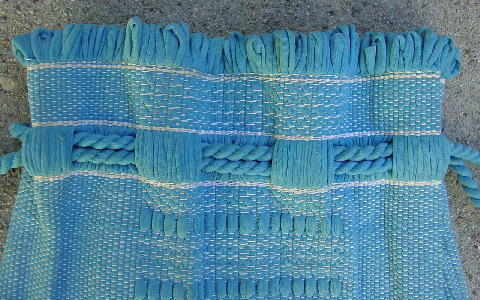 There are 13 1/2" by 3/8" drawstrings with 2 1/8" long fringes at the ends of the drawstrings. 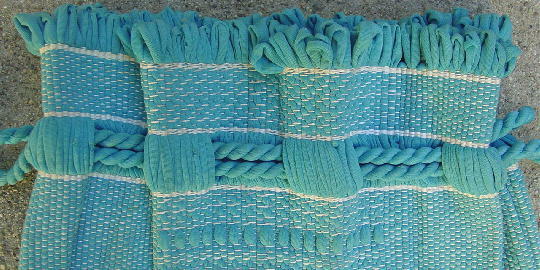 Some of the long woven strips and fringes have that "well-loved" look. It looks good with jeans, shorts, or a spring-summer dress. upper fringes top to bottom 1"